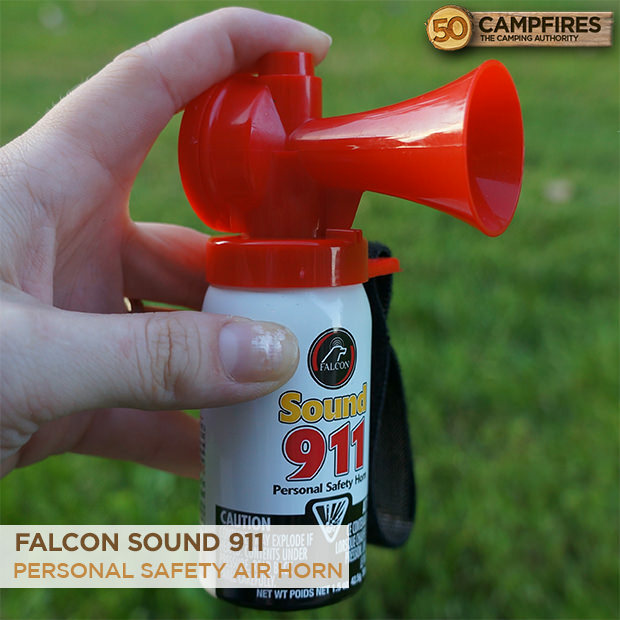 Summary : The Falcon Sound 911 Personal Safety horn is the perfect air horn for the outdoors man or outdoors woman. Falcon is one of the most renowned manufacturers of safety horns, especially for the outdoor and marine market. With a wide variety of horns from industrial to personal use, Falcon has been making long lasting, powerful signal horns for years. The Falcon Sound 911 Personal Safety Horn is a great air horn for the outdoor lover. Providing a peace of mind while jogging or hiking the trails, the Sound 911 will be there to protect you in an emergency situation. Appearance: At first glance, the compact size of the Sound 911 is apparent. Taking up a very small footprint, this powerful air horn can easily fit in your backpack or even pocket. 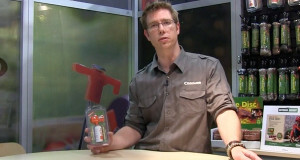 The 1.5 ounce air horn has a removable red horn, that can be detached with out any loss of gas. The removable horn allows a user to buy refills for a lower cost than re-buying the item. The sleekly designed air horn also comes equipped with a velcro strap to easily allow the user to strap it to a bike, a wrist or even a backpack. Say goodbye to being lost in the wilderness. This is air horn is seriously loud! 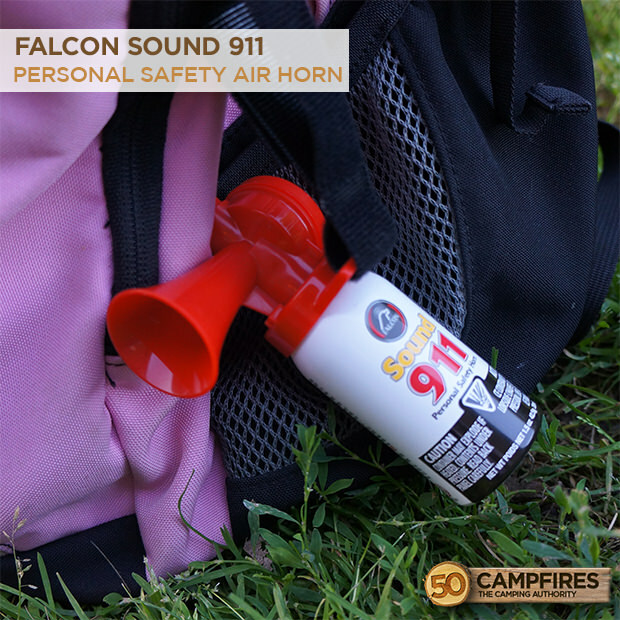 Ease Of Use: With most air horns the Falcon Sound 911 Personal Safety Horn is very easy to use. It is as simple as depressing the top button and letting it rip. The Sound 911 packs a punch with a 112 decibel blast the can be heard up to a 1/2 mile away. With this kind of power, the Sound 911 air horn is perfect for camping, hiking and biking. From warding off wildlife to helping detect your location in an emergency situation, having an air horn at your disposal is vital. Weight: Weighing in at under 2 ounces, you won’t even know you have this handy device packed away in your backpack. Being lightweight the air horn is an accessory that can stay in your pack or hooked on via carabiner just in case. 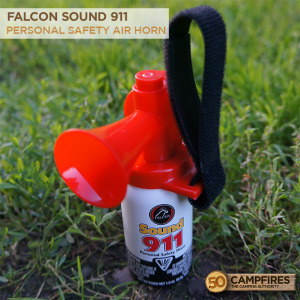 Value: Retailing at $19.95 the Falcon Sound 911 Personal Safety Air Horn is a great price for the peace of mind it affords you. A great personal safety item to have in the city and out in the woods, the light weight air horn is packable, loud, and easy to use. The attached velcro strap is a great addition to the ordinary air horn, allowing for easy attachment to just about anything you’d need. You really can’t go wrong having a Falcon Sound 911 air horn along with you on all your outdoor adventures.